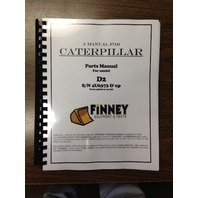 You are bidding on a NEW Caterpillar D2 Parts manual for serial numbers 4U6373 and UP. 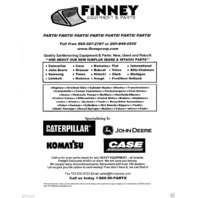 Form 32628 or 31199 This manual is new quality. Complete diagrams for your machine w/ Cat part numbers still in use. Organized in typical Caterpillar fashion. 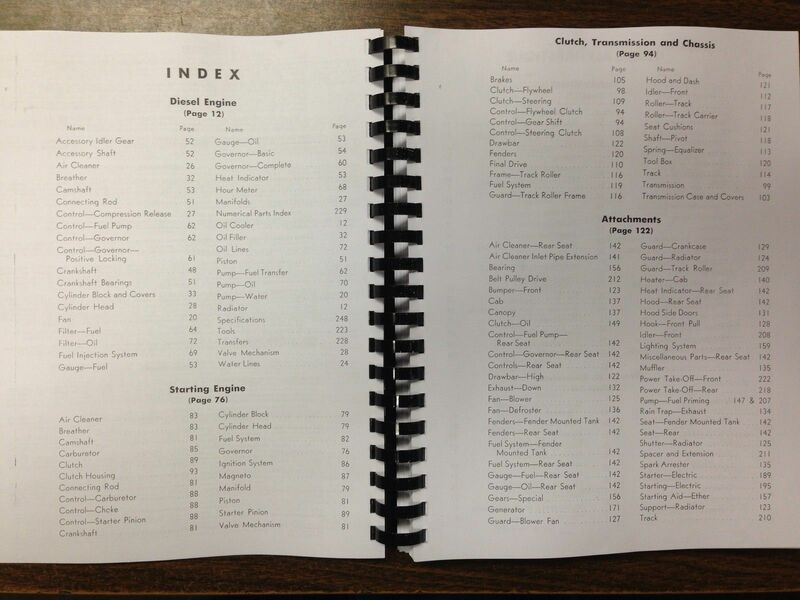 A classic manual ready for use. 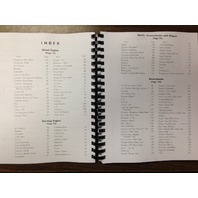 This one is on 8 1/2 x 11 in paper for easy viewing (less squinting at those small numbers) and is bound w/ a plastic cover. 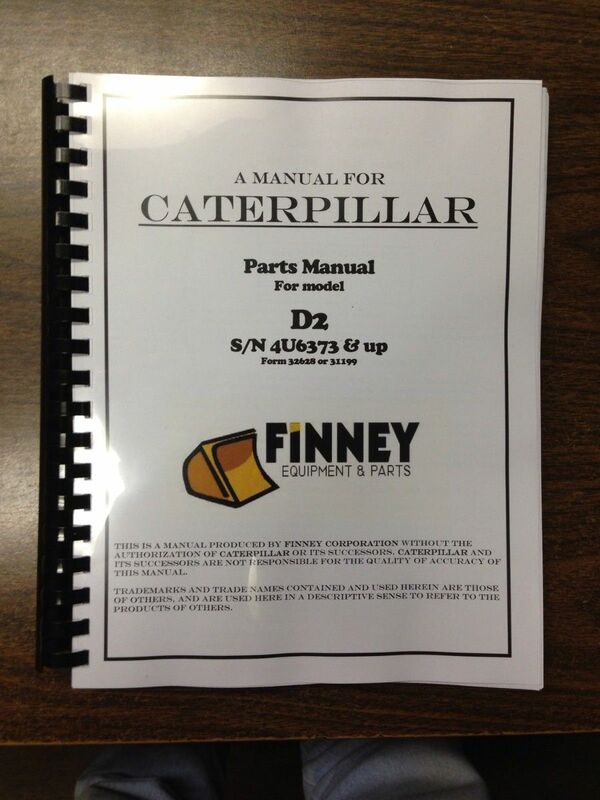 We offer 4 manuals for the Cat D2's (operators, parts, service and engine service). 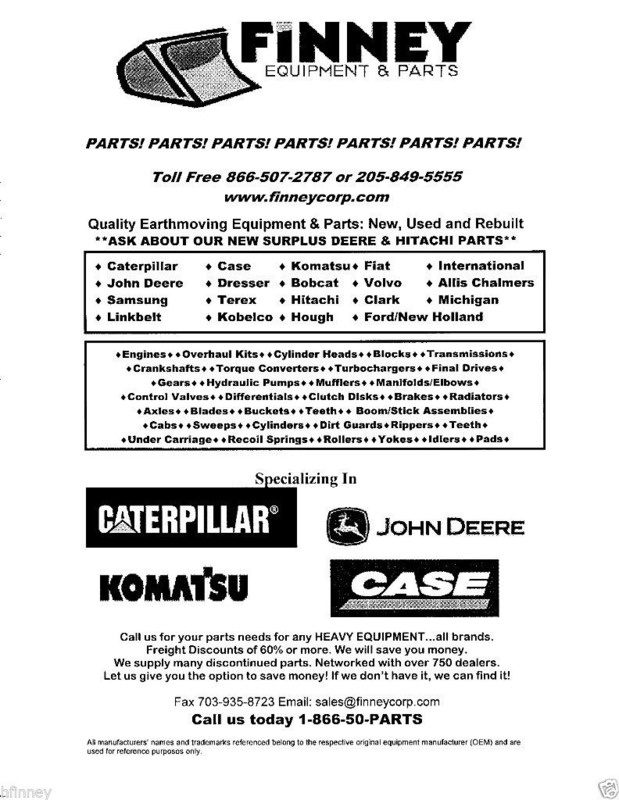 WE COMBINE SHIPPING if you buy 3 or more. 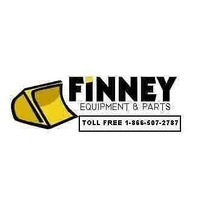 Phone orders accepted as well. Same deal.